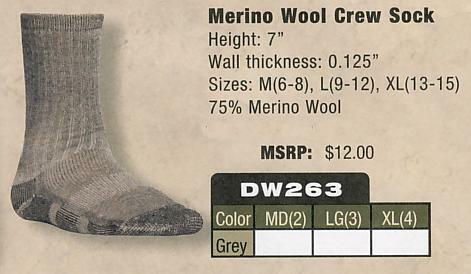 These 108-gram Merino Wool socks are the perfect sock for outdoorsmen. The Merino wool naturally wicks moisture from your feet to keep them dry all day long, even on long hikes with rubber boots or waders. 108 gram fabric weight. 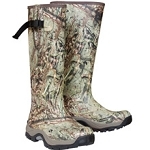 11" crew height for wearing with hiking boots and shoes.